“We’re very proud of the quality and breadth of the BBC’s coverage of this extraordinary event,” said a BBC spokesman in the immediate aftermath, reported The Independent. But faced with mounting criticism, the Corporation put the topic up for debate on BBC Radio 4’s Today programme, with former Radio 4 controller Mark Damazer suggesting the producers had been aiming for a more “informal” feel. So was the BBC coverage really that bad? Has the BBC ever presented a more mind-numbingly tedious programme in its history? “HRH the queen” said the first ignorant presenter. HRH? “The trouble is, the bigwigs at the Beeb simply do not get it. They are embarrassed by these great occasions and wish they’d go away so they can get back to throwing money at programmes like The Voice,” wrote Bel Mooney in The Daily Mail. “These highly paid people regard with contempt those men and women — rich and poor, young and old, British and foreign — who are thrilled by the longevity of Elizabeth II’s reign.” Mooney was particularly disappointed that the BBC chose to use presenters such as Fearne Cotton and Tess Daly over historians like David Starkey and Bettany Hughes. 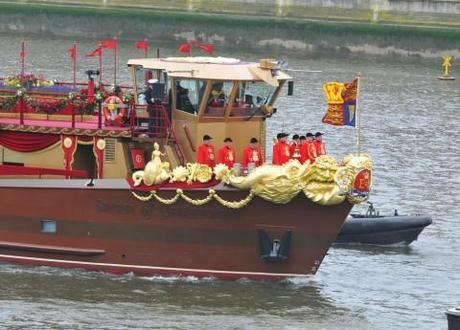 Watch the best bits of the Thames Pageant below.